Katrina and Jonathan Love welcome you to Sandy Carr Farm and their luxury self- catering holiday cottage in Wolsingham located on a family run working farm in an Area of Outstanding Natural Beauty. The cottage is just under a mile from the main road and set in its own grounds next to the main farm house. It is a very quiet and peaceful place to have a holiday or short break and is ideal for romantic getaways, hen parties, pamper weekends, stag parties, paint balling activities, family breaks, cycling, walking, riding. We have facilities to securely store bikes, equipment etc and can also provide stabling/grazing for up to two horses. We are only five miles from Hamsterley Forrest and around six miles from the Coast to Coast Cycling Route. Ideal for scenic walking with breath taking views. Are you looking for a romantic break or a few days away with friends or family? Then look no further than our luxury self-catering accommodation nestled on the outskirts of the historic market town of Wolsingham, the gateway to Weardale. Sandy Carr Farm Holiday Cottage is a Grade 2 listed building, built in the mid 1800’s and recently refurbished to an excellent standard. We are just under two miles to local amenities, including a supermarket, butcher’s, greengrocer’s, bank, library, bakery, gift shop, Chinese takeaway, Italian restaurant, three public houses and a Working Men’s Club. 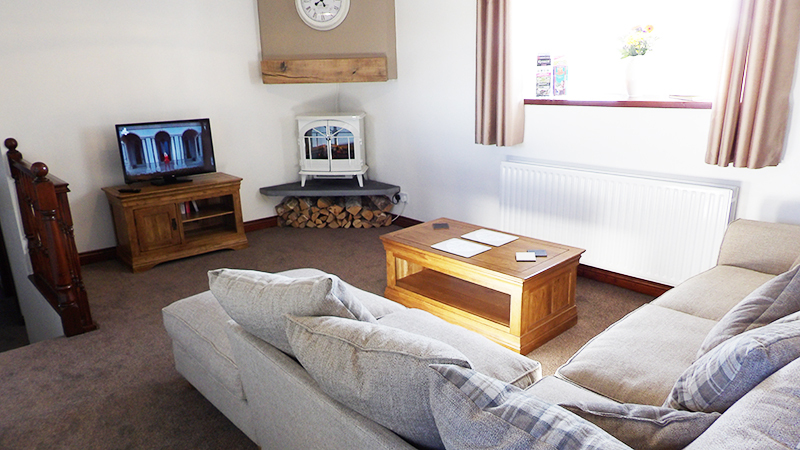 The cottage offers a tranquil and relaxing break with a luxurious 5 person hot tub to soak in following your day’s activities. We are located 5 miles from Hamsterley Forest which boasts 2000 hectares of beautiful countryside. It is ideal for downhill mountain biking, horse riding, running, wildlife watching, adventure play and is home to the excellent family Gruffalo Adventure Trail. The famous Beamish Open Air Museum is only 16 miles away and Durham City is only 15 miles with the beautiful historic Durham Cathedral a must see attraction.